Gypsophila, common name Baby's Breath, are annual and perennial herbs often growing from a thick taproot or a branching caudex, sometimes with rhizomes More about it in Wiki: https://en.wikipedia.org/wiki/Gypsophila..
Main colour: orange, grow high upto 50-70 cm. 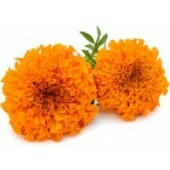 Marigold orange (high) ..
Multicoloured (red, orange), grow upto 25-30 cm.. Mix of pink, purple, white colors..
Cleome spinosa. More info here: https://en.wikipedia.org/wiki/Cleome_hassleriana..
Botanical name: Lathyrus odoratus ..